CLIPS: Check Out Clips & Character Bios Of Cartoon Network’s ‘Clarence: Mystery Piñata’! The day is almost here! 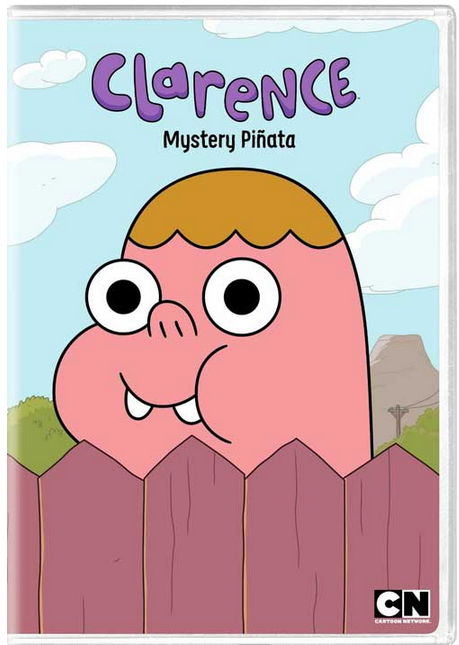 Cartoon Network’s Clarence: Mystery Piñata is set for release next week, February 10th on DVD! In celebration, we would like to share a couple great clips from this funtastic animated series for you to enjoy! You can also check out some great character bios that give you a bit of information on each of your favorite characters Cartoon Network’s lovable series! Check out the clips and bios below! 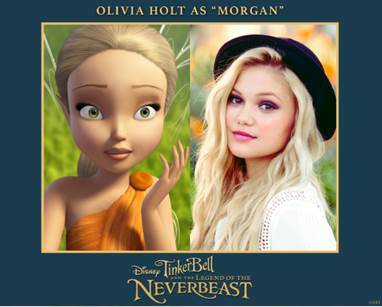 VIDEO CLIP: Olivia Holt Voicing Animal Fairy In New ‘Tinkerbell & The Legend Of The NeverBeast’! Tinkerbell & The Legend Of The NeverBeast will definitely be a film to remember! Especially when Disney Channel’s I Didn’t Do It star Olivia Holt will be included! Olivia happily lent her voice to the role as Morgan, an animal fairy in the animated movie. Morgan has probably the worst job of the animal fairies — she helps baby skunks perfect their aim! Though not a specialist in roars, Morgan knows all about grunts and growls. 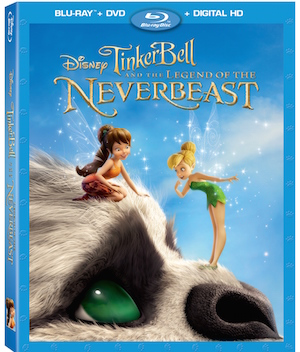 You can catch Tinkerbell & The Legend Of The NeverBeast on DVD and Blu-Ray this March 3rd! Make sure you check out a great clip of the film below! Go Deeper ‘Into The Woods’ With A New Trailer Release From Disney — Watch! Get ready to head Into The Woods as Walt Disney presents an amazing new trailer for the upcoming film. In this new featured film, you’ll catch a fantastic glimpse into the start of the journey for all characters involved using two simple words: “I wish.”. Not only that, but unlike the nearly wordless trailer earlier, this one features some amazing singing! 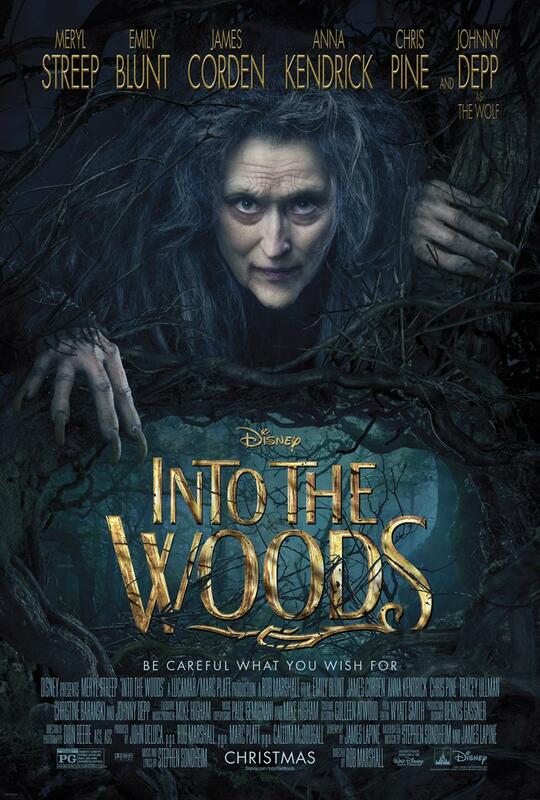 Check out the trailer for Into The Woods which is set to release in theaters on December 25th, 2014! Also, you can take a peek at all the amazing character posters for the movie just below the trailer! First Photo Of Stefanie Scott On The ‘Insidious Chapter 3’ Set!! We can’t wait to watch Insidious Chapter 3! Check out the first photo of Stefanie Scott on the Insidious 3 set. We love her darker locks and the creepy background. Hmm, we wonder what happened to her character to get those “bruises”!! The anticipation is killing us! Be sure to catch Stefanie in the film in theaters on May 29, 2015!! See Taylor Swift Sing & Play Piano In A New Clip Of ‘The Giver’!! Check out this beautiful clip of Taylor Swift as Rosemary in the upcoming film, The Giver, sit at a piano and begin to sing to The Giver, played by Jeff Bridges. Be sure to catch the upcoming film The Giver in theaters everywhere on August 15th. We can’t wait to see the film, based on the famous book, “The Giver” by Lois Lowry. You can watch the clip HERE! 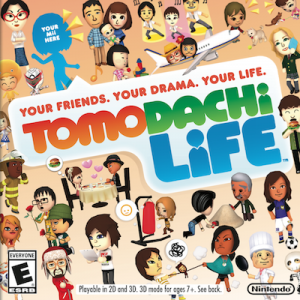 Nintendo’s latest release ‘Tomodachi Life’ hit shelves yesterday. In this new reality simulator game you can create new lives and hang out with friends as well as some of your favorite celebrities including the one and only Zendaya Coleman of Shake It Up!, Zapped!, and more! Check out the clip below to learn how to play and find out some of Zendaya’s favorite things about the game. Be sure to download her “Mii” character to start the fun today! Sony Pictures has created a character for their Cloudy Movie 2 DVD release, and it’s based off Cody Simpson! 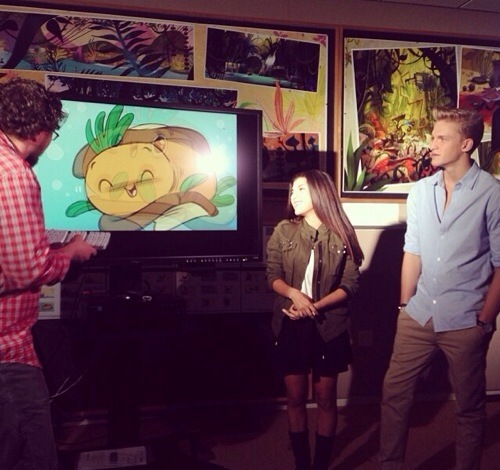 Check out the photo above of Cody seeing his character Codfish Simpsonwich for the first time! Totally funny & cute.